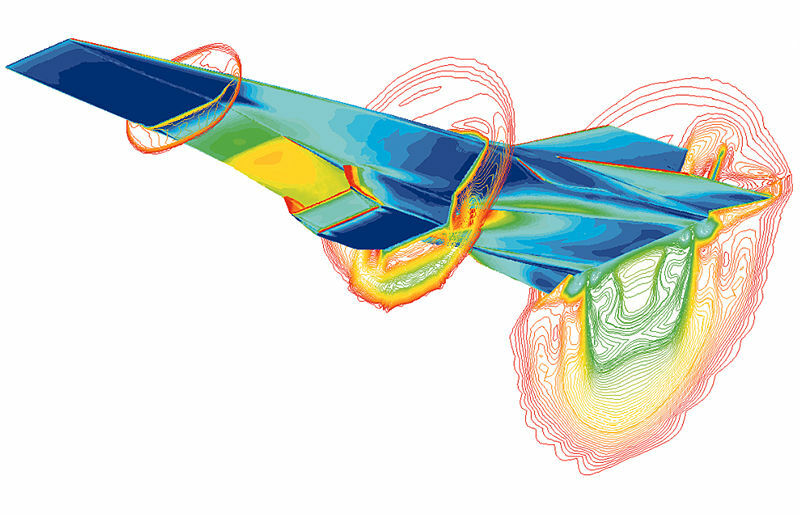 Supersonic airflow is very different from subsonic flow. Nearly everything about the way an aircraft flies changes dramatically as it accelerates to supersonic speed. Even with this strong demarcation, there is still some debate as to the definition of "supersonic". One definition is that the aircraft, as a whole, is traveling at Mach 1 or greater. More technical definitions state that it is only supersonic if the airflow over the entire aircraft is supersonic, which occurs around Mach 1.2 on typical designs. The range Mach 0.75 to 1.2 is therefore considered transonic. A portion of the large kinetic energy associated with flow at high Mach numbers transforms into internal energy in the fluid due to viscous effects. The increase in internal energy is realized as an increase in temperature. Since the pressure gradient normal to the flow within a boundary layer is approximately zero for low to moderate hypersonic Mach numbers, the increase of temperature through the boundary layer coincides with a decrease in density. Thus, the boundary layer over the body grows and can often merge with the thin shock layer. Generally, NASA defines "high" hypersonic as any mach number from 10 to 25 and Re-entry speeds as anything greater. Aircraft operating in this regime are the Space Shuttle and various space planes in future development.